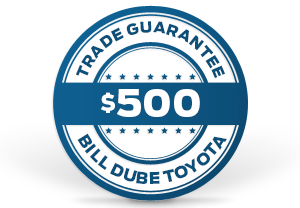 Bill Dube Ford Toyota takes the hassle out of Trading in your vehicle with our $500 Trade Guarantee. Your trade regardless of the make is worth top dollar to us, no matter what you owe. 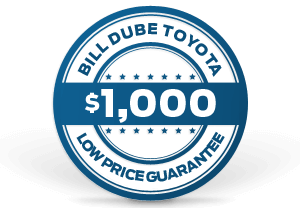 With Bill Dube Ford Toyota's $500 Trade Guarantee it's a win win for everyone. You deserve peace of mind, knowing that you will get the best value right here at Bill Dube. Can't make it to the beautiful New Hampshire Seacoast to take advantage of our aggressive pricing? Bill Dube Ford will provide you with White Glove Delivery Service at no extra cost to you. We take the hassle out of buying a new vehicle. Have a Trade? No problem - Evaluations and photos can all be done online making the appraisal process a simple and easy one. Allow us to speed up the process by delivering your vehicle to your home or office.